You heard it right! 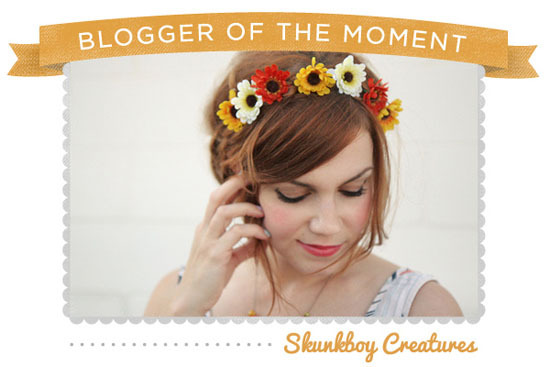 I'm so honored to say that I am the ModCloth Blogger of the Moment! I really am ecstatic about this, especially since you and I both know that I'm definitely not a fashion blogger. I like to do my outfit posts weekly, but I couldn't even imagine keeping up with gals that post 4 and 5 outfits a week! I feel like I don't say it enough, but I'm very thankful for all of you who actually take the time to come by and read my blog and comment. It means a whole lot to me. You are great. 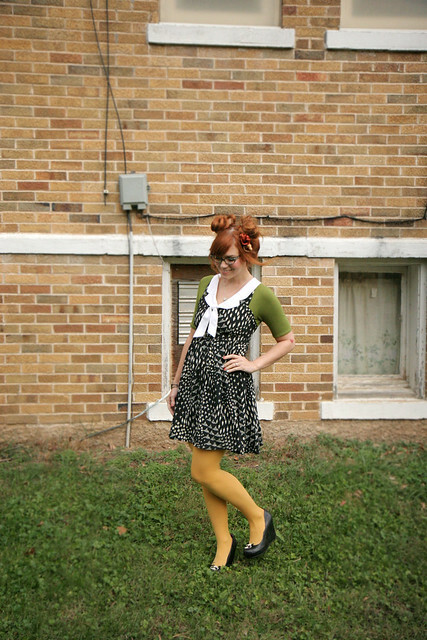 You can check out my ModCloth favorites here, my interview here, and my dress here! I love how you paired it with the Red Velvet top!!! Super cute!! Congratulations again Katie!!! Congratulations!!! :D That dress is so cute! i love that dress...your dress!!! and i love to read you blog!!! I love your panda shoe clips! Congrats!! P.S. You are aaaah-dorable & your accessories are the cutest! Congrats! That's so awesome, and the dress is so cute! What an honnor, Congrats Katie! Congratulations, and I love that cape! Yay! You look adorable as always! Congrats! Wow... You must be thrilled! The dress is adorable and you look gorgeous in it. Congrats!! That is amazing! Congratulations! WOW! And I am the same- I could never keep up with fashion bloggers... I'll stick to lifestyle. haha! so so excited! all that fun shopping paid off :) off to read the interview. i love how you styled it with the cape, adorable. This is so exciting :) It looks really cute with the RV shirt! Congratulations! congratulations!! that is the most fun and you have totally earned it! i really love your skunkboy dress. Congrats! I adore your outfit posts - you are a fashion inspiration to me! :) this dress is totally adorable, and I love how you styled it! How exciting! Go, Katie, go! congrats, i love your style - it's always so happy! and i just you and hope in your costumes and about died - so cute! Congratulations Katie!! You so deserve it! Wow! Can you really be that amazing? I'm going to start following your right away! 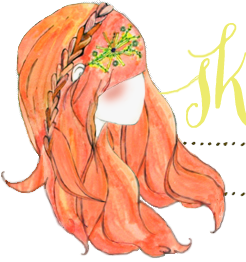 :) Feel free to visit my blog if you feel like to! awww, congrats!!! that dress is the cutest! holy cow congrats! you are the cutest gal ever you deserve it! congratulations!! you definitely know fashion, so don't sell yourself short! you are chosen, after all! and i must say, your namesake dress is so adorable! i can't get over the print. it's so lovely. so excited for you! I LOVE your dress...now to lose a million pounds so I can fit in one - priority #1! Congrats! Your blog inspires me so much and whether you know it or not...you're a fashion blogger! Aw that's wonderful! Congrats to you, it's a really cute dress! congrats! you look adorable! such a fitting dress! gorgeous dress and the cape is amazing!! even more because it was hand made. hey mama! I know I already said congrats via twitter but I had to come leave some comment love. This is SO well deserved and it makes me incredibly happy to see you as the BOTM! So rad. You're the best, and I'm happy for you my sweet friend! Congrats! It's an amazing dress! Congrats! The dress is super cute, and I WANT that cape! Love! Even if you don't deem yourself a 'fashion blogger', you inspire my closet when I see your outfit posts. Congrats - that is so exciting!! I love the dress, especially paired with your RV blouse. You look gorgeous! Wow, congrats! You may not feel like a fashion blogger, but you're certainly a fashion inspiration! Congrats, your dress is so cute! "Oh, yeah...I have my very own dress. No...seriously. You can buy it on Modcloth." I love you guys a bunch. Thanks for being awesome.